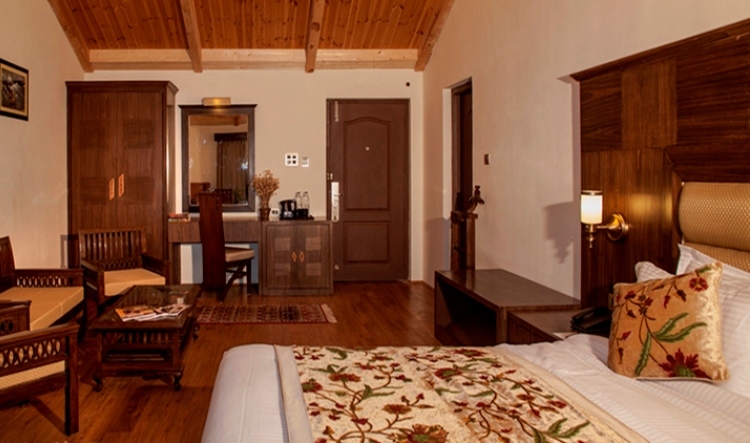 The Hotel: The Heritage By Heevan is a Premier Boutique Hotel of Srinagar Kashmir which provides a holistic and luxurious Hospitality experience for both business and leisure travellers alike. The traditional Kashmir design fused with modern yet aesthetic concept combines an artistic vision that runs through entire hotel. The ideology being that Elegance is always subtle and understated. Shivpora B.B Cantt. Is a prime and centrally located area in the heart of Srinagar, just 15 Mins Away from The airport enjoying convenient during distances from every commercial, tourist and leisure zone of Srinagar. At The Heritage we believe in personalised services to suit every guest's individual and unique needs. A team of Personal with rich industry experience complement the heightened vision of the hotel.